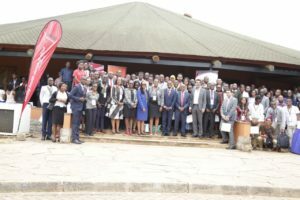 Kenya Healthcare Students summit (KEHSS) held it’s annual conference themed “Towards a Multidisciplinary Approach for the achievement of Universal Health Coverage (UHC) in Kenya and Africa” on 8 – 9 February 2019 at United States International University, Nairobi. The Kenya Healthcare Students Summit is a conference that brings together healthcare students and interested professionals from all over Africa. The conference aims at building capacity of Kenyan and African healthcare students on matters pertaining to UHC as well as equip them with the necessary soft skills needed in their future profession as healthcare practitioners. In his opening remarks Dr. Githinji Gitahi, CEO Amref Health Africa and UHC 2030 co-chair emphasized that UHC is a social justice concept, a philosophy founded on equity where everyone receives quality healthcare. The panel was focusing on “What it takes to be the correct health worker for UHC” and Kenya Healthcare Federation (KHF) was well represented therein. Dr. Robert Nyarango, CEO, Gertrudes Children’s Hospital responding to the question on why medical professional graduates find themselves unemployed, emphasized that healthcare organizations are looking for human resource that is highly skilled, visionary, emotionally intelligent and with a focus on problem solving. Dr. Daniella Munene, CEO, Pharmaceutical Society of Kenya, addressing the pharmacy students encouraged them to establish a relationship with patients during their practice and ask the right questions to enhance compliance with medications. She further added that every encounter with a patient is an opportunity to educate them about their right to the highest attainable standards of healthcare, as an informed public will be the driver for UHC. 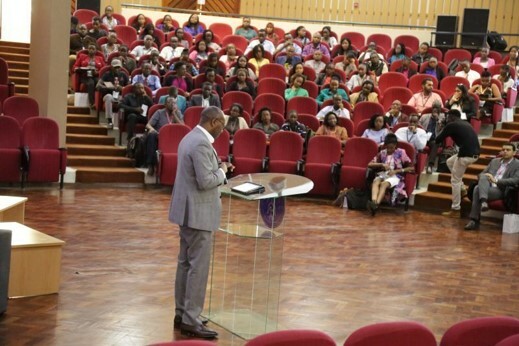 Professor Gilbert Kokwaro, Strathmore University, encouraged the students to be open-minded big picture oriented. “Identify the areas that have leadership gaps and work on adding value to them”. He indicated that teaching institutions need to train job creators and leaders not job seekers,.” Professor Njeri Wamae, USIU Africa, encouraged lecturers to train youths that are fit for purpose, keeping in mind that the vision of UHC is ensuring that no one is left behind. “Think of what is needed in healthcare today and in the future” Professor Njeri Wamae, United States International University(USIU)Africa. Sharing experience in healthcare leadership, Dr. Jacqueline Kitulu, President, Kenya Medical Association highlighted that the lag in prioritizing healthcare stems from being too inward facing in health practice. She encouraged the student to explore other value adding skills like management and leadership to enable them effectively articulate the needs of the health sector. “Through knowledge and skills acquired while pursuing my MBA, I learned how to articulate healthcare needs in a language that the economist can understand” she continued. Dr. Kitulu further encouraged the students to join professional associations for mentorship, which she explained is one sure way of leapfrogging young professionals to effective leadership.Dr. Amit N. Thakker, Chairman, KHF, encouraged the students to identify mentors in their area of passion and interest, who can walk with them towards pursuing their career. In addition, he encouraged the students to focus on being job creators and not job seekers. The healthcare students summit was a success and the students expressed their gratitude to the panelists for the impactful session.